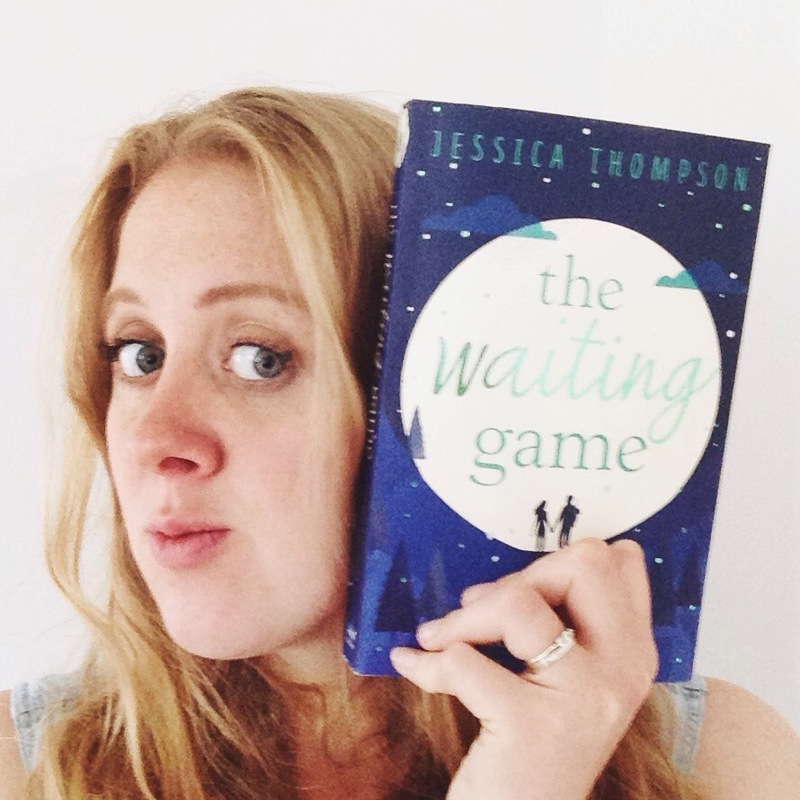 EXCLUSIVE content from The Waiting Game by Jessica Thompson – plus my review! 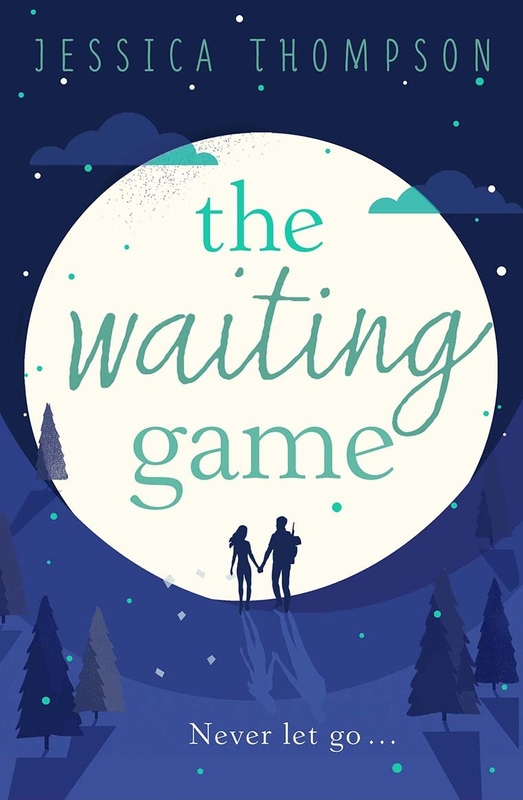 I’ve am very privileged to be a part of The Waiting Game blog tour! You can read an excerpt from the very start of the book, then read on for my review.. The moon was speckled like a bird’s egg. It hung reliably in the blackness above Will Turnbull and Nessa Grier, who sat side by side on a bench as the leaves fell around them, landing softly on the thick, wet grass. Their knees were just touching, hearts pounding hard. ‘Oh god, I just don’t know what I’m going to do with my life!’ Will cried, running both hands down the soft, spotted skin of his cheeks. His right hand caught the frame of his glasses. They creaked audibly before pinging back against the bridge of his nose. ‘Ouch! That was surprisingly painful,’ he muttered angrily, finishing his cigarette and dropping it on the dewy grass beneath him. He crushed it with the thick rubber toe of his trainer. ‘Jesus, Will, you don’t need to be so dramatic,’ Nessa responded, rolling her eyes and nibbling at her bottom lip nervously. She needed to tell him something and he was about to start ranting. She was sure of it. There was a certain tone to his voice. And when Will started ranting, it was very hard to make him stop. When would she find the opportunity to say those words? To utter the sentence that she feared he’d judge her for anyway. She fiddled with her long mass of dark blonde hair. She always threw it over one shoulder, en masse, draping it across the back of her neck so it hung down the front of her chest like a scarf. It was a nervous habit, but Nessa enjoyed the way it felt to run her fingers through the ends and feel dozens of tiny knots twist and snap between her fingers. ‘I know, Ness, I know; I just have such big bloody choices to make, you know? This is serious stuff. It’s either staying here and carrying on writing music and going to London all the time to get involved in “the scene” – which is what I want to do because I think that’s the best way to get noticed – or going to some dullard university miles away from here to study for a “proper job”.’ Mocking his mother’s posh voice, he spat out the last two words, while sarcasti­cally wobbling his head from side to side. ‘And what exactly is wrong with a proper job?’ Nessa asked, turning to look at him, her eyes narrowed in suspi­cion. His handsome profile was illuminated in the luna haze, casting parts of his face in eerie shadows, hiding places for his angst. Will pulled out another cigarette and lit it urgently, before leaning back on the bench and scratching his head. His thick hair curled around his fingers in great, hazelnut whirls, unravelling slowly when he moved his hand away. A few chocolate-coloured moles were clustered around the base of his neck: a perfect imperfection. These were the things that made him who he was. Even in the darkness, Nessa could pick up on Will visibly cringing at these words, but she’d always loved him for his honesty. Someone ‘special’? So many kids wanted to be like Damon Albarn or Kate Moss, anything but a regular person, an accountant or a secretary. But we can’t all be models and rock stars, Nessa thought to herself. Although she was sure that if anyone could pull it off, it would be Will . . .
And so it begins! So, this isn’t normally the type of book I read, and when I found out that I had requested it I was quite surprised, but I’m generally up for new experiences and decided to give it a go. And I enjoyed myself! The plot is pretty intense. Nessa is trying to hold everything together in horrible circumstances, and I found myself getting very angry on her behalf. She is perhaps more forgiving than she should be – but part of her character journey is learning not to blame herself for everything and to do what she wants to do sometimes. The twist was pretty predictable to me, but perhaps it was meant to be, and the situation the characters found themselves in was difficult, plausible and relatable. Each character (except perhaps the errant Jake) was relatable and had realistic traits, flaws and personalities. I was impressed by the relationships portrayed between Nessa and her daughter, her parents in law including her father in law with dementia, with friends and with Will. It all felt real. I’d recommend this book; it’s an emotional journey but enjoyable too, really delving into some of the difficult parts of life with a likeable and believable cast of characters. Thanks so much Hodder and Stoughton and Jessica Thompson for the book and for including me in the tour!